Martin Luther King, Jr. believed in fighting for Civil Rights for all people. In this Spanish-translated biography, readers will learn about his inspirational life as he fought for equality of African Americans through nonviolence. 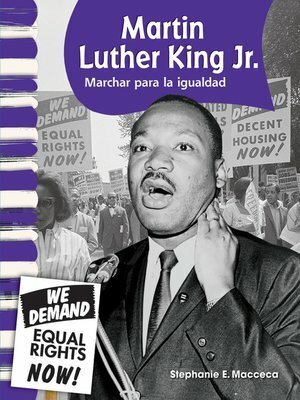 The rich photos, supportive text, helpful glossary, timeline, table of contents, and index give readers important information for understanding King's fight against Jim Crow Laws.